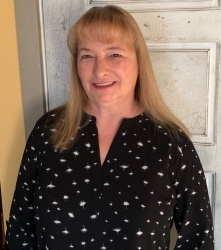 Corinth, ME, April 10, 2019 --(PR.com)-- Irene Johnson of Corinth, Maine has been recognized as a Woman of the Month for January 2019 by P.O.W.E.R. (Professional Organization of Women of Excellence Recognized) for her outstanding achievements and high level of success in the field of residential healthcare. Each month, they feature women to represent their professions and industries due to their expertise and success in their chosen specialty. Irene Johnson is the owner of Family Enterprises of Bangor and Brewer, Maine. It consists of 5 residential homes for adults and elderly residents. The five homes are licensed by the State Department of Professional and Regulatory Services and Ms. Johnson is a licensed Medicaid provider. She is responsible for overall operations, training her staff, hiring, marketing, compliance and ensuring residents receive proper care. Ms. Johnson is a mental healthcare provider and provides general care to the residents as well. Born October 18, 1961, Irene received her C.N.A., took numerous classes at Husson College, and earned an A.S. in Healthcare Administration and Medical Records from the University of Phoenix. She also took mental health classes at a local mental health hospital. In her spare time she enjoys traveling. For further information, contact www.familyenterprises61.com.